Log into SonoSite Institute today, and begin your ultrasound-guided paravertebral nerve block education with our new learning module. Describe the indications and contraindications of an ultrasound-guided paravertebral nerve block. Review the gross and sono-anatomy of the thoracic paravertebral space. Explore the common techniques for performing an ultrasound-guided paravertebral nerve block. The Paravertebral Nerve Block learning module is designed for medical professionals utilising point-of-care ultrasound who want to build on their skill level and improve patient outcomes. Following completion of this module, participants will have an understanding of anatomical structures of the paravertebral space, correct transducer placement, and proper ultrasound settings. If the above link does not take you directly to the webinar, make sure you are logged into the SonoSite Institute, and then copy and paste the following URL into your browser: http://www.sonositeinstitute.com/node/1962. If you are a SonoSite customer, you get exclusive access to all educational materials on the SonoSite Institute. If you have never signed up for SonoSite Institute, it’s not too late. All you need is your email address and your SonoSite ultrasound machine’s serial number. Anatomy recognition and exam techniques remain a critical component for point-of-care users. 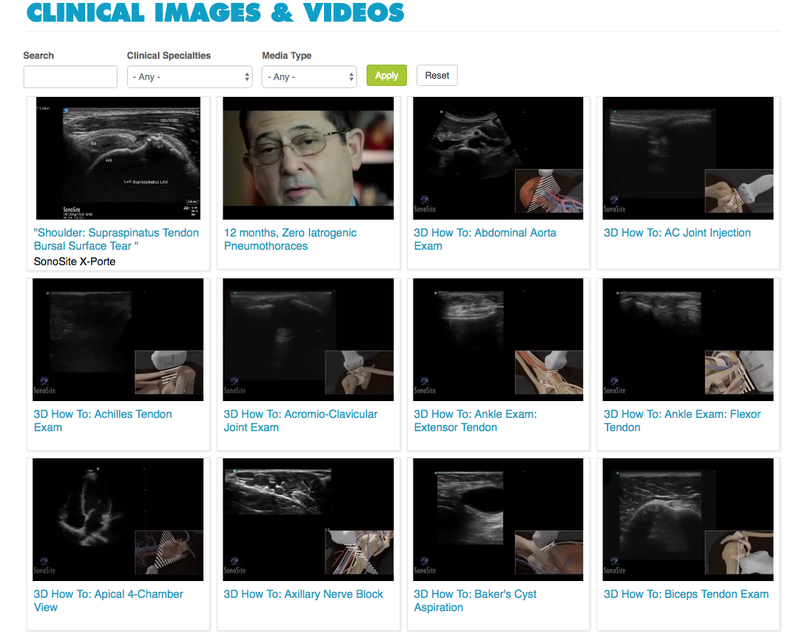 Visit our Clinical Media Gallery for an extensive library of point-of-care ultrasound videos and images.